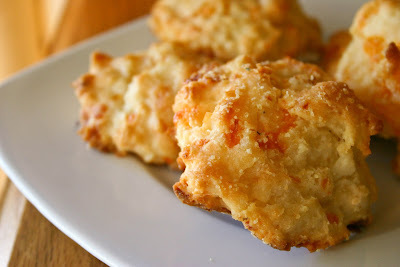 Homepage / biscuits / Red Lobster Cheddar Bay Biscuits. If you’ve ever been to Red Lobster, you know exactly what I’m talking about: their endless supply of baskets full of piping hot, bursting-with-cheddar-cheese biscuits. They’re soft, they melt in your mouth, they’re brushed with melted butter and garlic… and they’re addicting. 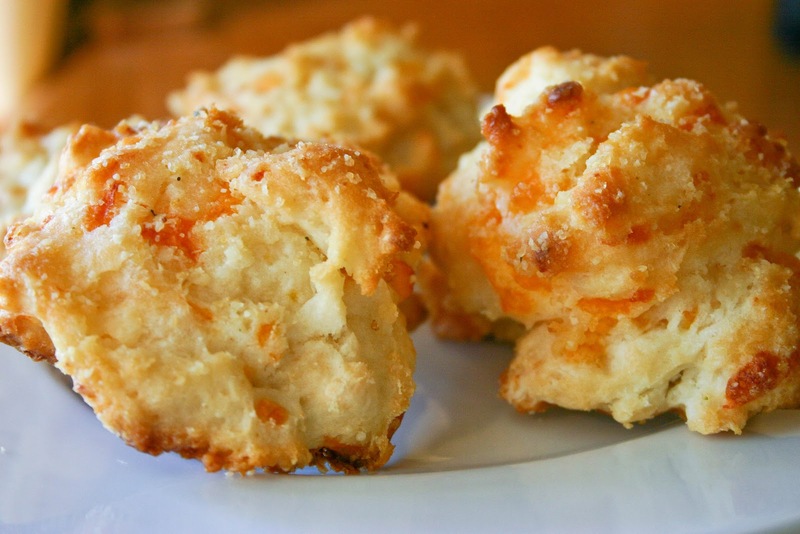 Cheddar bay biscuits. They’re world famous. They even have their own Facebook page. In what world does a biscuit have a Facebook page? Our family’s been using this recipe for years and they taste almost the same as the ones from the restaurant. They couldn’t be any easier to make. Enjoy! 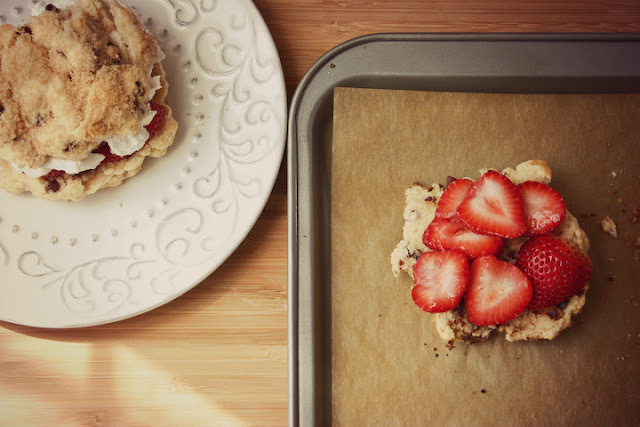 Combine Bisquick with cold butter in a medium bowl using a pastry cutter or fork. You don’t want to mix it too thoroughly… just until there are small chunks of butter about the size of peas. Add cheddar cheese, milk, and 1/4 teaspoon garlic powder. Mix by hand until combined, without over-mixing. 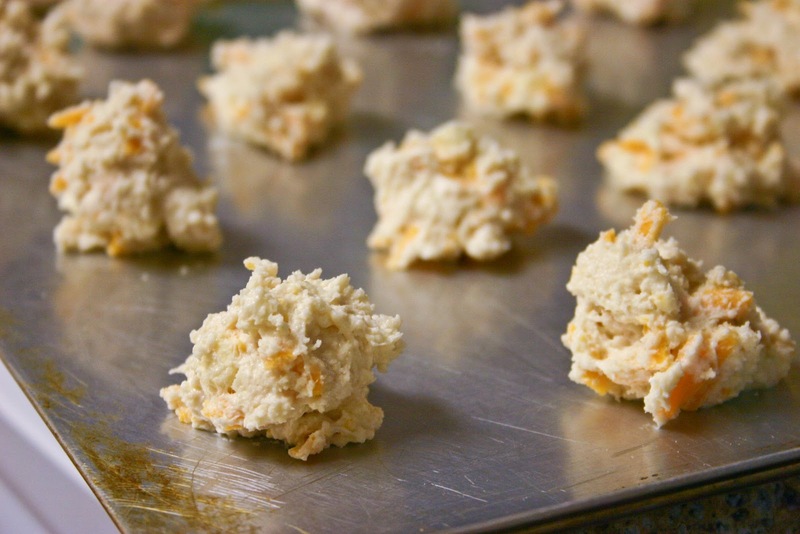 Drop dough in approximately 1/4 cup mounds onto an ungreased baking sheet. An ice cream scoop works best. They don’t have to be perfect! When you take the biscuits out of the oven, melt the 2 tablespoons of butter and stir in the 1/4 teaspoon of parsley flakes, 1/2 teaspoon of garlic powder, and pinch of salt. 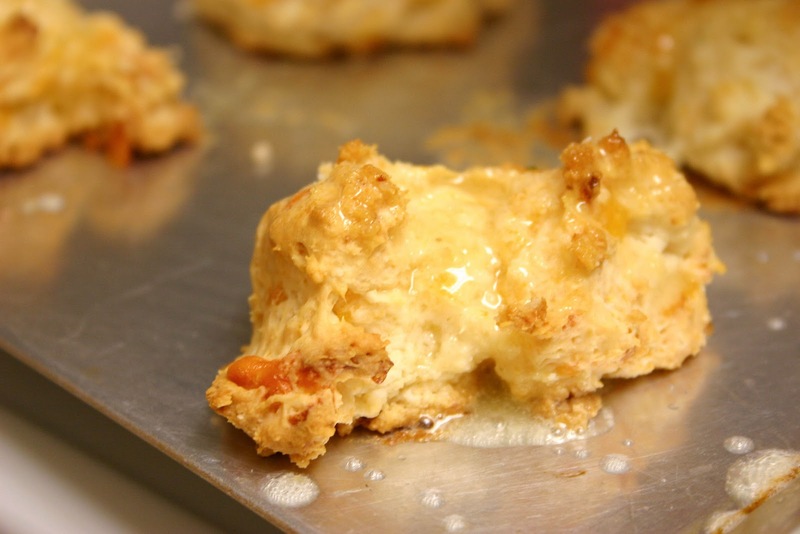 Brush over the tops of the warm biscuits, using up all of the butter. See? Imperfection. Makes about a dozen biscuits. Previous post Chocolate Swirl Marble Pound Cake. Next post Chocolate Ganache Truffles.